This past weekend, me and a buddy attempted to go from Yosemite Valley floor up to clouds rest for a winter hike. Unfortunately, as the title implies, we did not make it out of the valley due to icy trail conditions. Next year, we will bring out crampons and ice ax and we will make another attempt. Overall we still had a great time though and it was both our first times in Yosemite Valley. 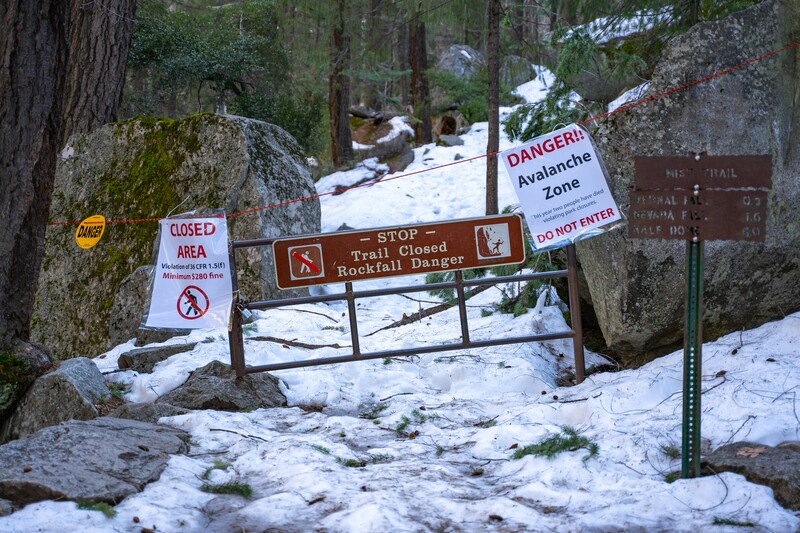 If you are looking for snowshoeing in Yosemite and don't want a technical climb, you can check out Badger Pass, I have a trip report from doing that hike two years ago. 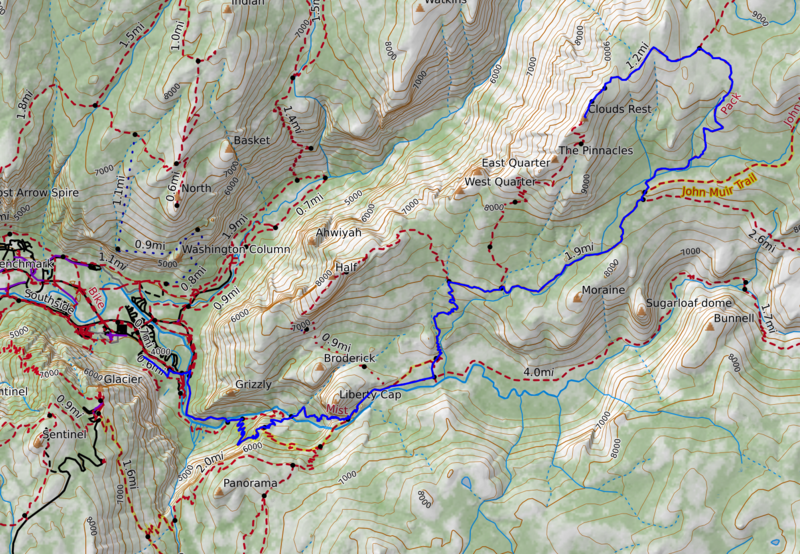 If you want to view and download the map you can on Caltopo here. 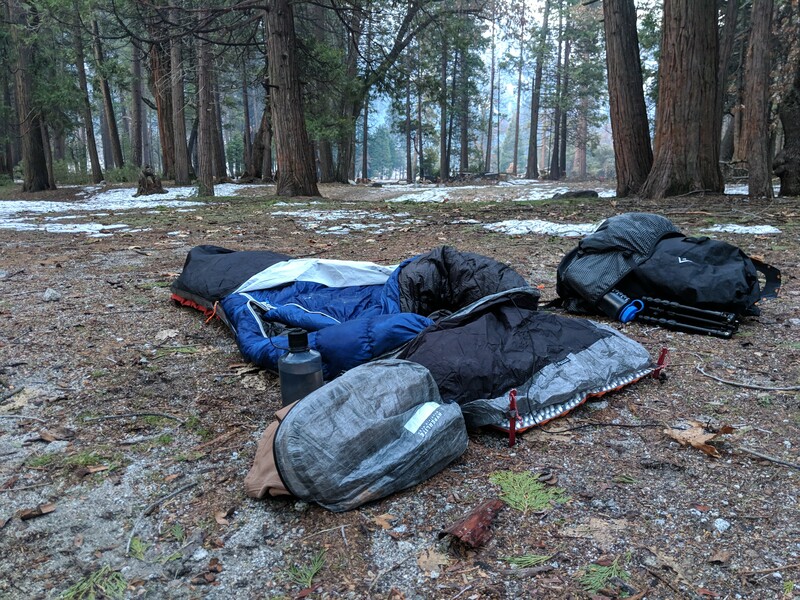 For this trip, I packed all my gear on Wednesday night and both me and my friend left Southern California after work on Thursday, arriving at Yosemite Valley Camp 4 a little after midnight. If you do not know anything about Camp 4, it's a first come first serve campground in Yosemite Valley which costs $6 a night per person. I emailed a ranger about a week before this trip because I know I would arrive after the Visitor center closed, which is where we would have to register for our wilderness permits. Since there was no after hours self-registration for wilderness permits the park ranger recommended we camp in camp 4 when we arrive since it had not been filling up recently. 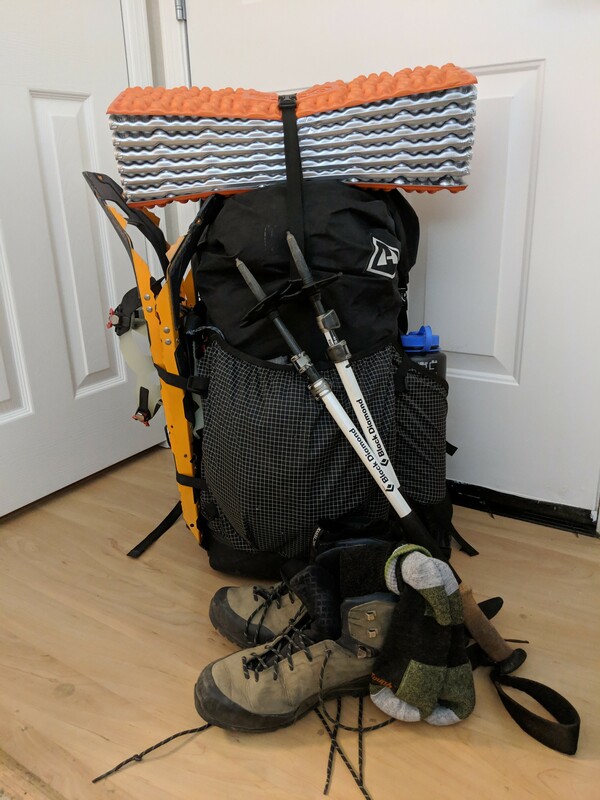 The first night it was either in the high teens or low 20s but I slept great in my FKT MLD Bivy, with just a little moisture on the top of my sleeping bag which froze. In the morning we spoke with the Ranger at the Visitor Center to pick up our permits, and she warned us of the ice sheets on our planned trail near Clark point. We told her we would at least check it out and asses it, and if it looked bad we would turn around. We promised her we would be safe. 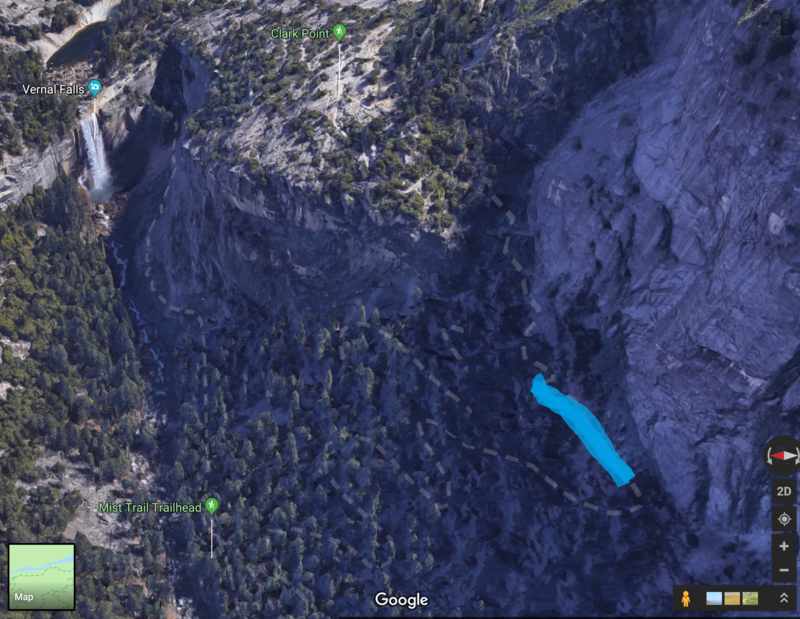 Once we picked up our permits we parked near Half Dome village, as that was the closest we could get tot he trailhead due to the winter road closures in Yosemite Valley and we started our hike down the road until we hit the trailhead. The trail is paved in the beginning and wasn't covered in much snow in the valley, but the aftermaths of all the big winter storms this year were everywhere. 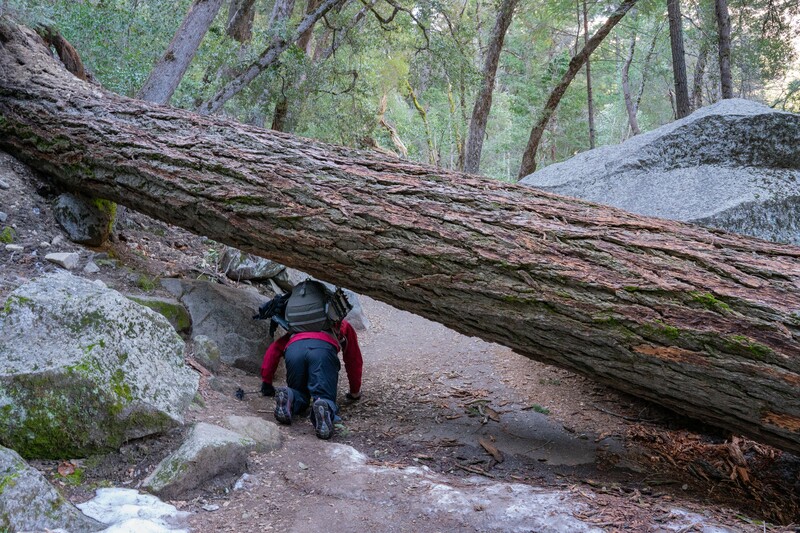 The trail was covered in down trees, and there was a mix of scrambling over trees and crawling under others. Overall it wasn't too bad, but I know this trail is pretty well groomed in the summer. As we climbed up the first part may be paved but its straight and fairly steep, not many switchbacks. It's a good climb and works you pretty well when you have a decent sized pack on. 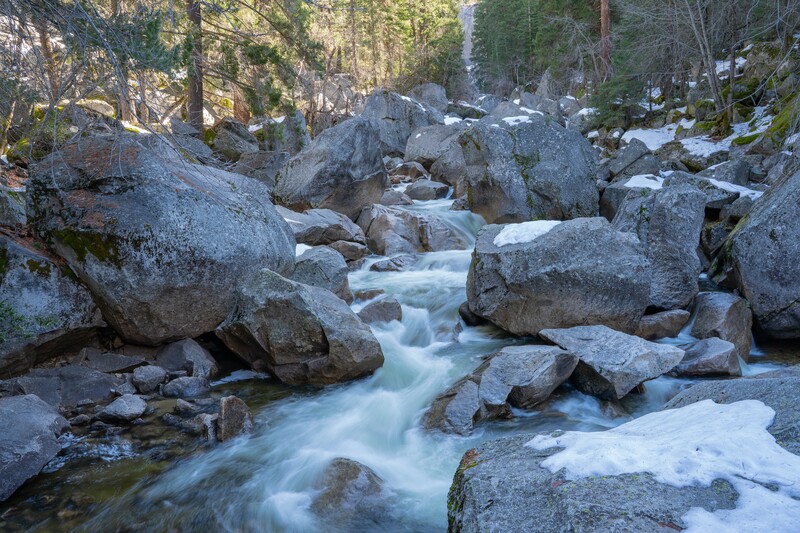 Eventually, you will come to a nice bridge that crosses the Merced River which is a great place to stop and catch your breath and enjoy the views before the switchbacks arrive. After you cross the bridge you continue to climb higher and higher and start going up switchbacks. 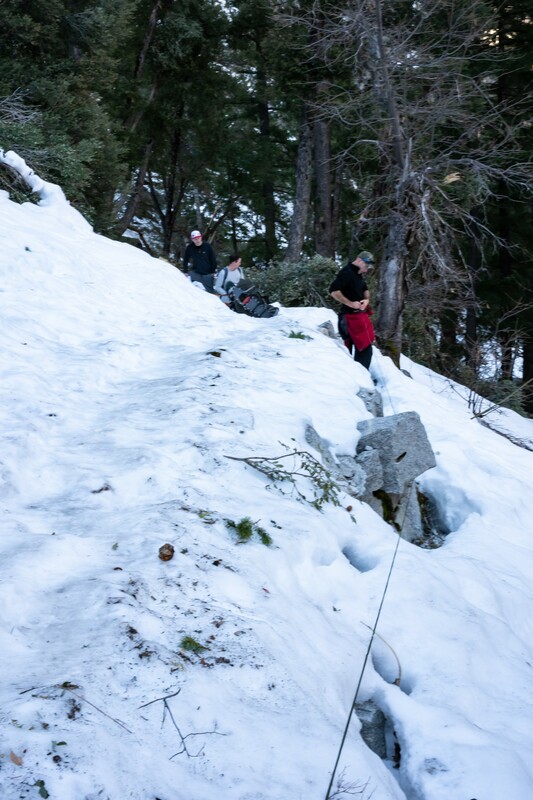 AS we climbed the switchbacks more and more pockets of ice and snow started appearing but wasn't anything we couldn't handle by just watching your step and using trekking poles. We stayed right at the fork and continued up the open trail, which brought us closer to Clark Point which is where we would have to determine if we would continue on. At first, the ice and snow wasn't too bad. 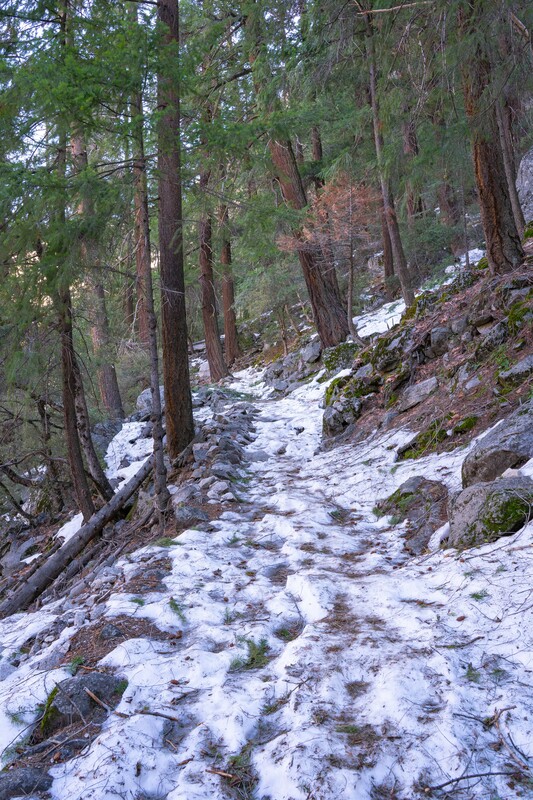 The icy trail conditions weren't too much of a worry when the trail was not steep or didn't have steep drop-offs. Just about a quarter mile from Clark Point was when we hit some steep ice where we couldn't penetrate with trekking poles to even try and get a hold in while we walked slowly. The temperatures in the Valley has been below freezing at night and warming to the 60s during the day. The ice slab on the trail ahead looked like it had begun to melt and then the water froze over at night which made it super slick. I made one short attempt while tied into my buddy who stayed back. 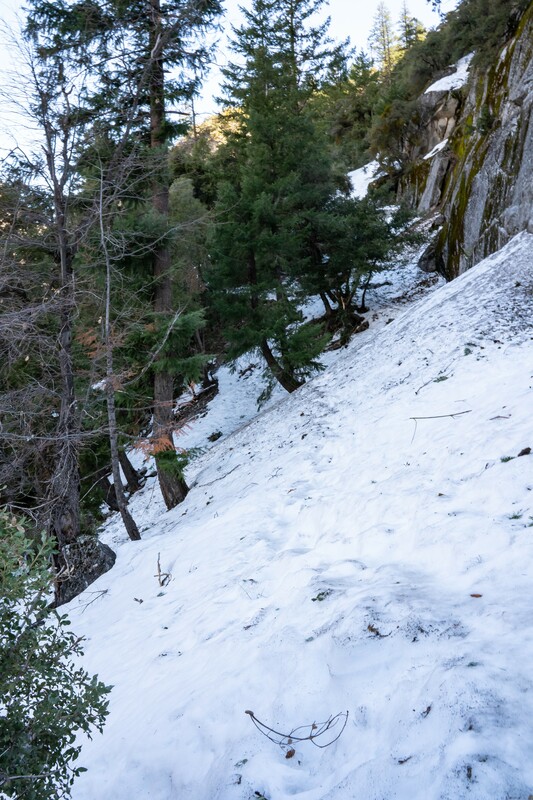 I used an MSR snow stake and a sudo ice ax in order to try and get a better view down the trail and see if it cleared up at all. After getting what I thought would have been a better view, I couldn't see an end in sight for the ice and with that unknown, we decided to turn around and not risk moving forward. This would probably have been possible to cross if we both had crampons and ice axes but we did not. We ended hiking back down and just doing another day hike in the Valley and then some astrophotography at night before camping in camp 4 again. 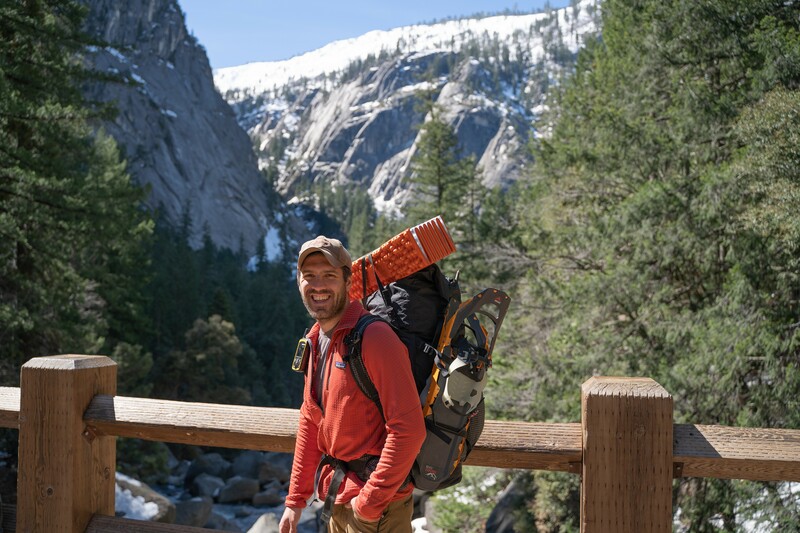 Despite not making it out of Yosemite Valley to go snowshoeing it was still a fun adventure. We plan to go back next year with the right tools and make it up to clouds rest.